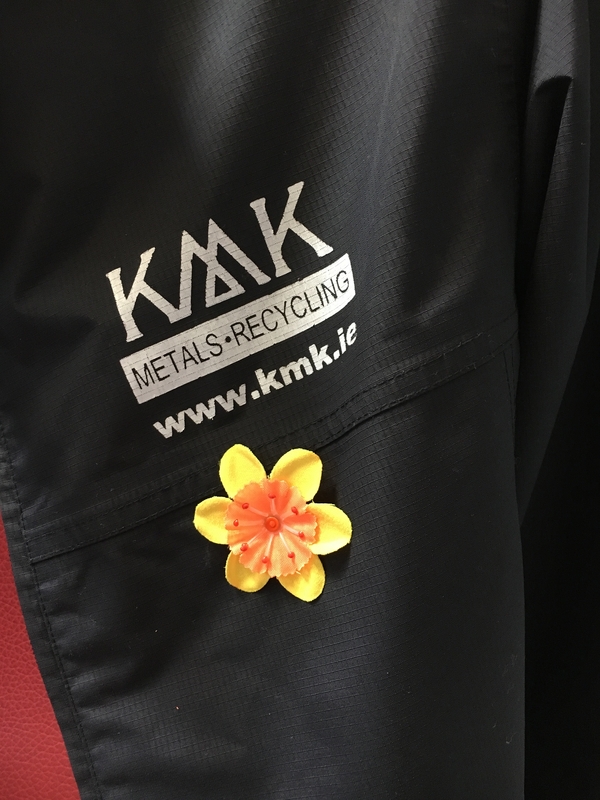 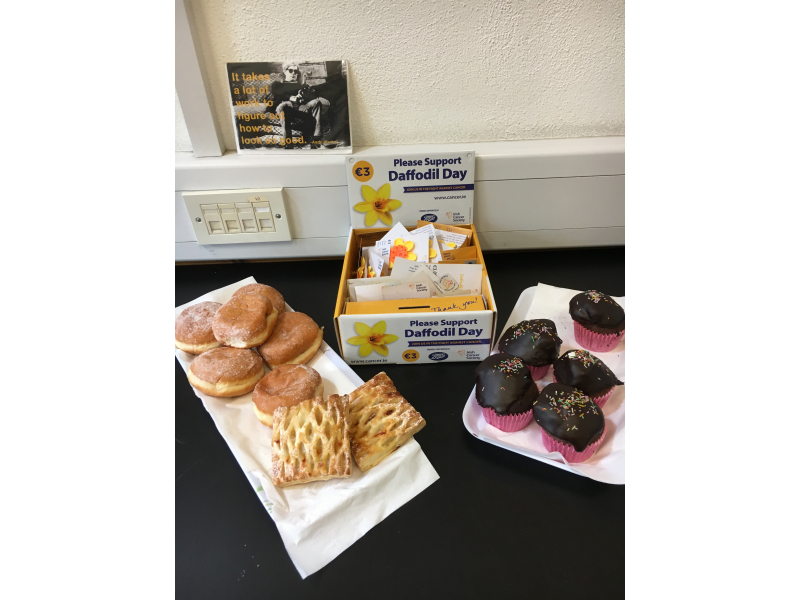 A coffee morning was held in KMK Metals Recycling this morning, March 22nd to celebrate Daffodil Day, raising €200 for the Irish Cancer Society. 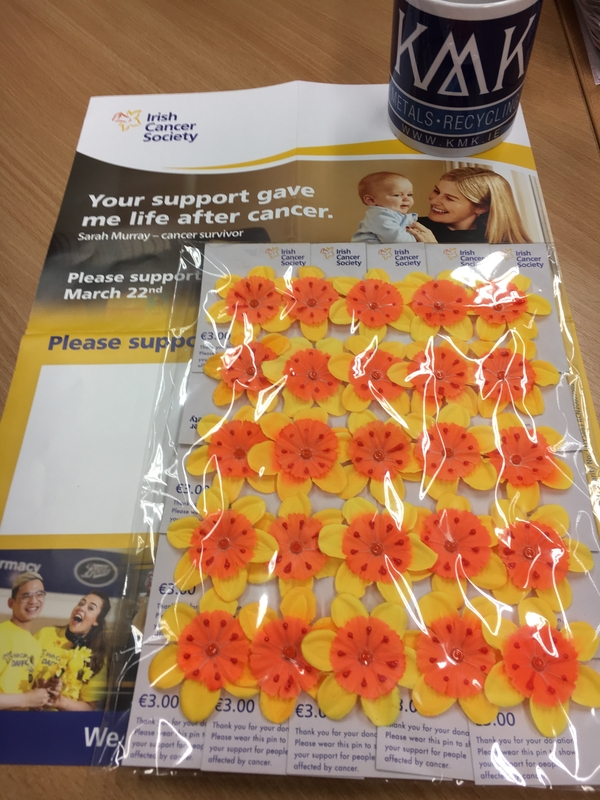 Daffodil Day is the Irish Cancer Society's biggest fundraiser, raising millions of euro to support cancer patients and their loved ones by providing free advice and support, as well as by funding life-saving cancer research. 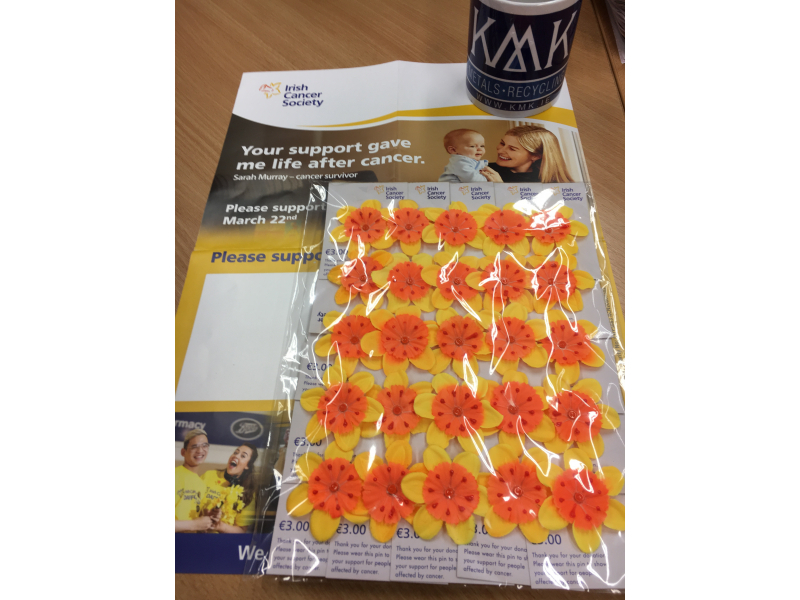 On Daffodil Day, thousands of volunteers sell flowers and daffodil pins to collect funds for the fight against cancer. 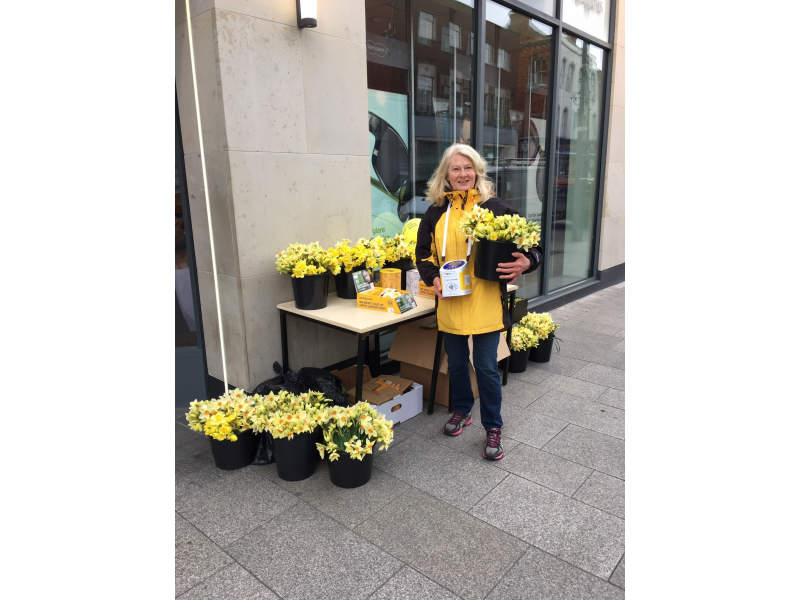 Directors of KMK, Kurt and Edeltraud Kyck, took to the streets of Drogheda, County Louth today, which they do every year, selling pins and flowers to raise much-needed money for the Irish Cancer Society. 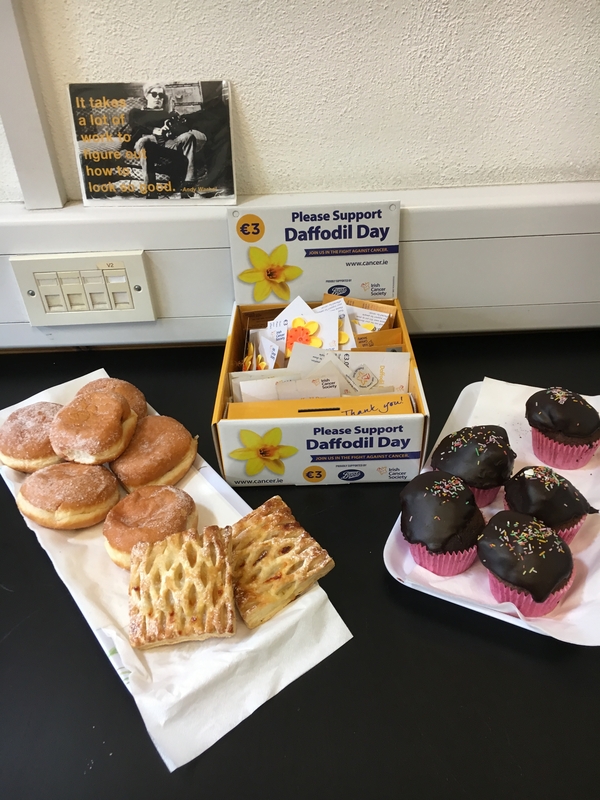 They also made a donation of €500 to celebrate the company's 40 years in business. 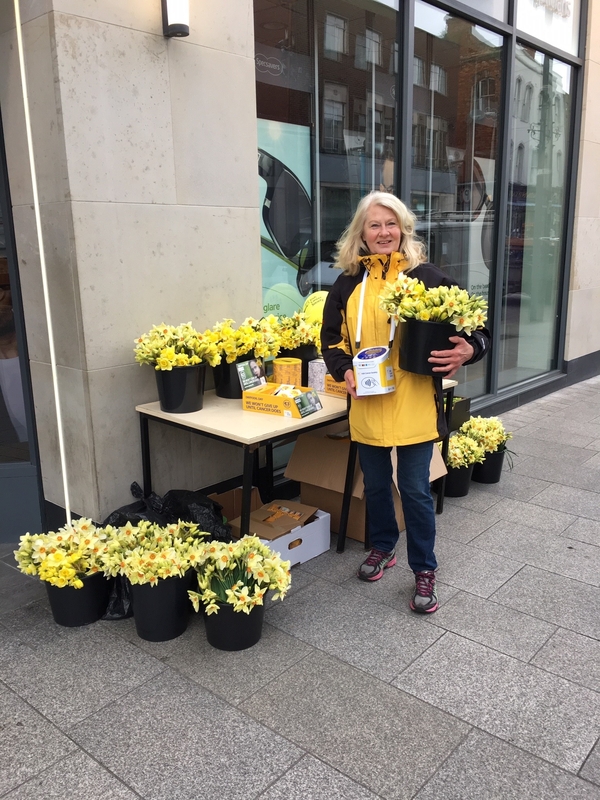 Funds raised during the Daffodil Day campaign are used across the country to help the 40,000 people who will hear the words "you have cancer" each year. 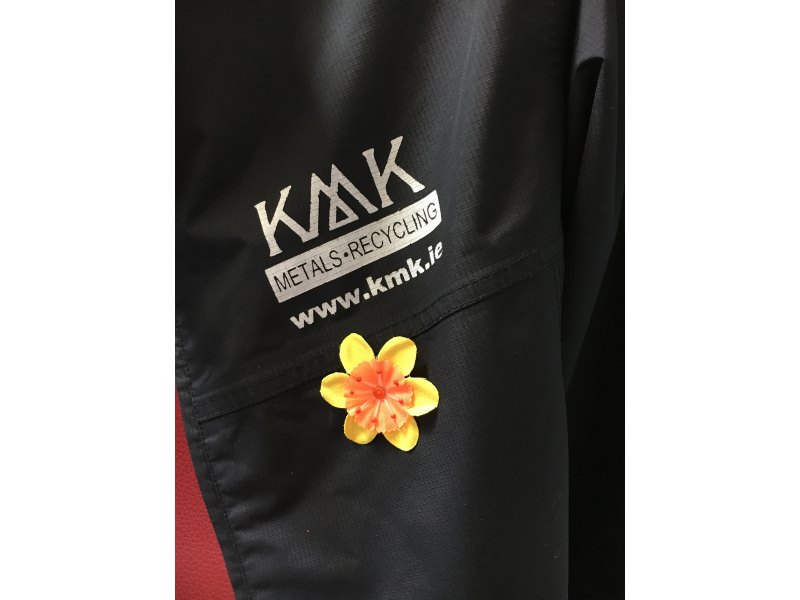 Copyright © KMK Metals Recycling Ltd.. All Rights Reserved.